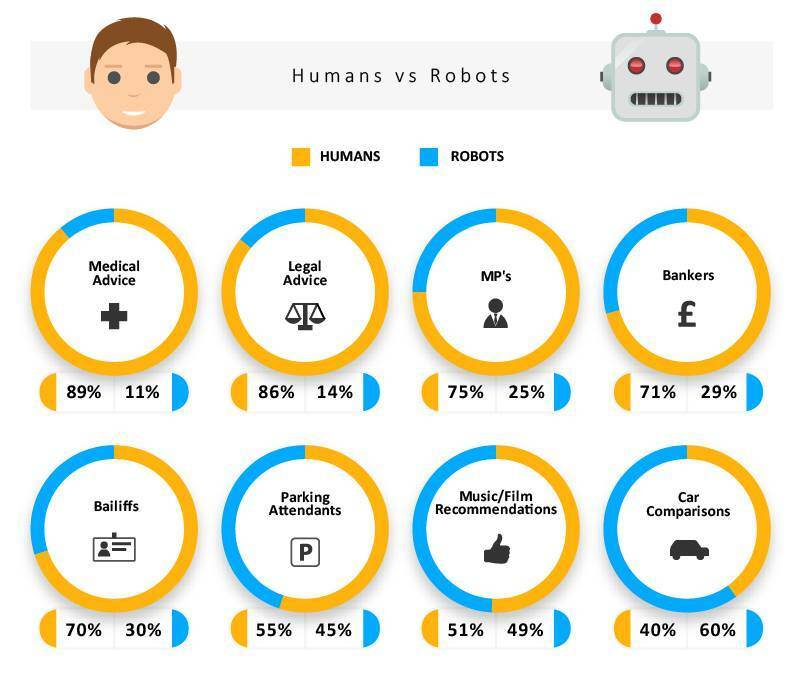 Around a quarter of British people would happily replace MPs with robots, according to a study of 6,000 individuals from Reboot Digital Marketing and Mindshare. The surveys asked people whether they would prefer machines or humans in eight different occupations and scenarios. It found that when making car comparisons with the intention to eventually purchase, a significant percentage of Brits would want robots (60 percent) aiding them instead of humans (40 percent). Thereafter, Brits would be most inclined to accept music and film recommendations from artificial intelligence at 49 percent – though 51 percent would still opt to do so from other people. Even though most respondents (75 percent) would still prefer humans to be MP’s, 25 percent would elect robots to be in this position of power. 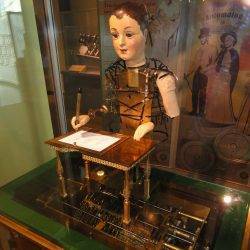 Moreover, despite the negative perceptions associated with bankers as a direct result from the fallout of the 2008 financial crisis, Brits would still select humans (71 percent) over robots (29 percent) to be in their respective role. On the other end of the scale, 11 percent of Brits would be least willing to take medical advice from robots. Similarly, only 14 percent of Brits would not feel apprehensive about receiving legal advice from robots. Shai Aharony, Managing Director of Reboot Digital Marketing commented: “Automation is undoubtedly on the rise. As the technologies which underpin its development become more sophisticated and efficient, certain industries will certainly face the real prospect of robotics and artificial intelligence disrupting their traditional flow of human labour. Whilst the assumption tends to be that it will either be people or robots, I believe they will complement each other in different tasks and facilitate new types of jobs. What this research certainly demonstrates is that Brits currently favour humans as opposed to robots in a handful of occupations/situations. Although, as automation becomes more prominent and Brits understanding of it drastically improves, this may potentially change”.